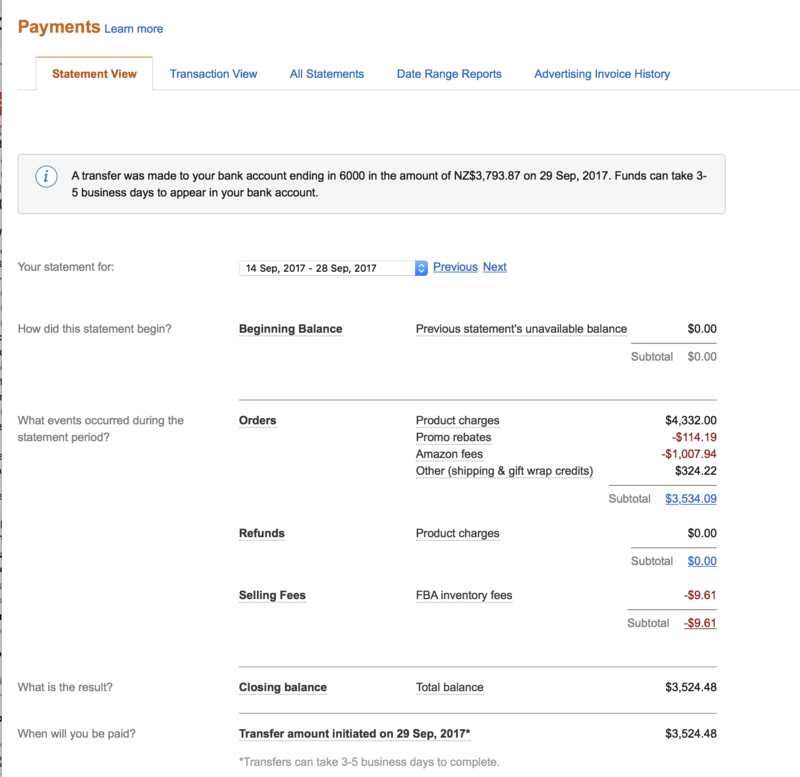 Amazon has a view-able report in Seller Central under Reports > Payments that shows you a summary of various groups of transactions for each settlement. Amazon has some interesting definitions for their transaction groupings. We often get asked how to match or reconcile these transaction values to the various more-granular transactions you see within an A2X settlement summary. In this article we'll show you a worked example, but because of the large number of different transactions possible, you'll need to apply our approach, in a similar fashion for your own transaction data. 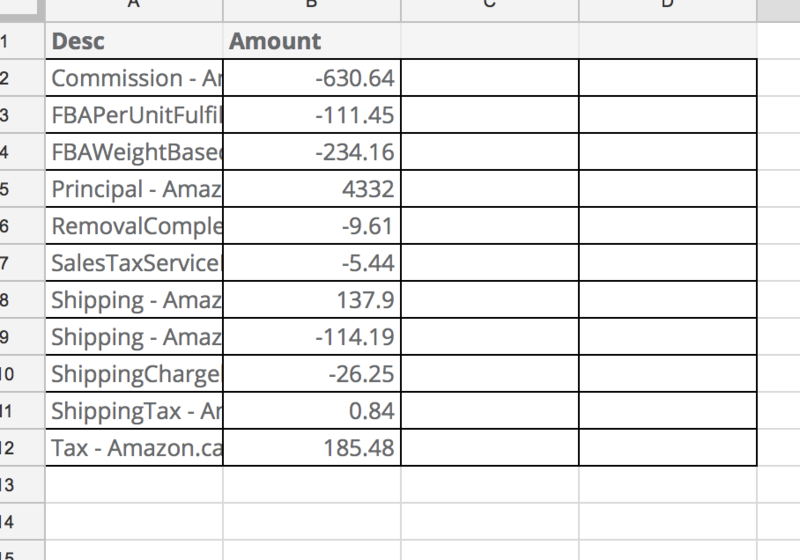 Now, the fun bit, we need to drag the rows up or down to order the data based on the type of transactions and then trial-and-error determine which transactions are considered in each group in Amazon's reporting. 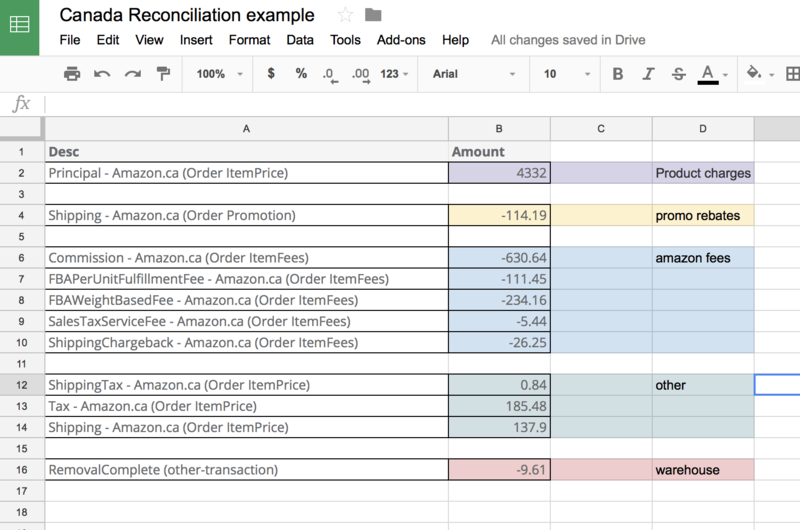 It can help to color code each section to make it easy to identify which transactions belong in which of Amazon's categories. There's some interesting definitions here such as including Taxes in the other revenue category. 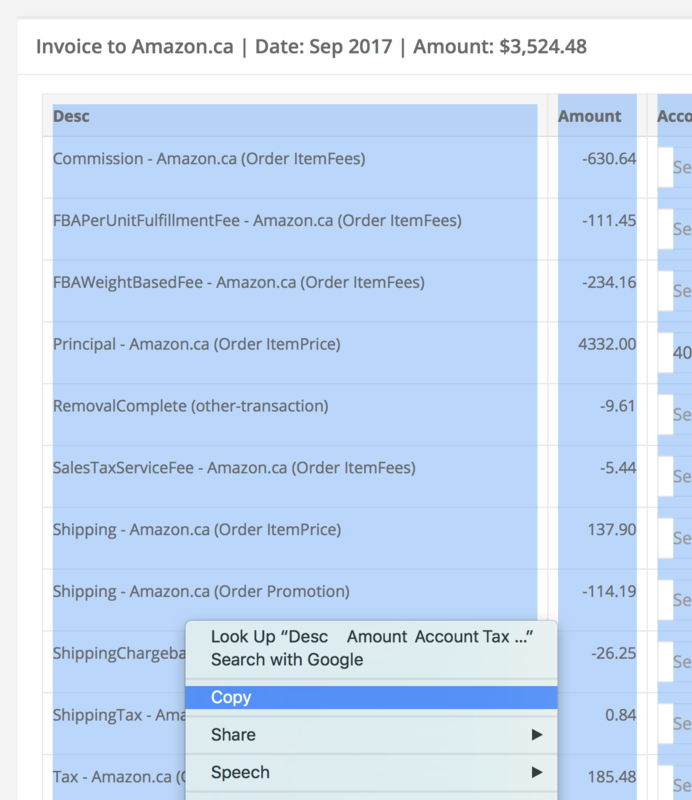 One of the benefits with A2X is that you can control all of the various transactions and how they are accounted for, so that you do not need to rely on Amazon's definitions that can often make accounting hard.